Whom Will You Cry to, Heart? 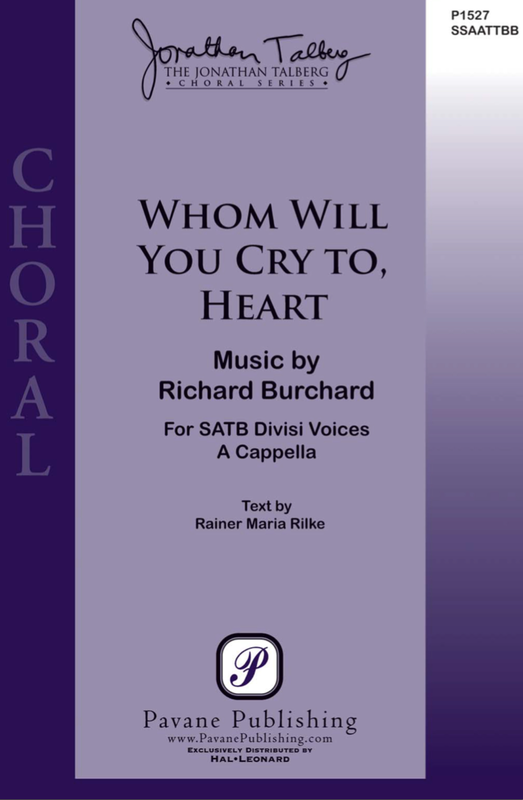 (A Lament by Rainer Maria Rilke) for SATB DV A Cappella Choir. Written for Jon Talberg and the CSULB Chamber Choir. World Premiere: The CSULB Chamber Choir at Daniels Recital Hall of the Bob Cole Conservatory of California State University Long Beach, Long Beach, CA.